Code of Ethics – Northern Rivers Wildlife Carers Inc.
Northern Rivers Wildlife Carers abides by the NSW Wildlife Council’s Code of Ethics reproduced below. A wildlife rehabilitator should strive to achieve high standards of care for native fauna through knowledge and an understanding of the field. Continuing efforts must be made to keep informed of current rehabilitation information, methods, and regulations. A wildlife rehabilitator should be responsible, conscientious, and dedicated, and should continuously work toward improving the quality of care given to native fauna undergoing rehabilitation. A wildlife rehabilitator must abide by local, state, and federal laws concerning wildlife, wildlife rehabilitation and associated activities. A wildlife rehabilitator should respect other rehabilitators and persons in related fields, sharing skills and knowledge in the spirit of cooperation for the welfare of native fauna. A wildlife rehabilitator should strive to provide professional and humane care in all phases of wildlife rehabilitation, respecting the wildness and maintaining the dignity of each animal in life and in death. 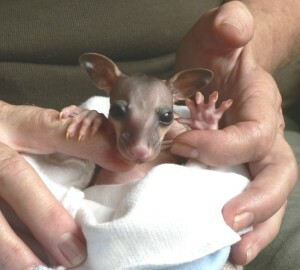 Releasable native fauna should be maintained in a wild condition and released as soon as appropriate. Non-releasable animals which are inappropriate for education, foster-parenting, companionship, or captive breeding have a right to euthanasia. A wildlife rehabilitator should work on the basis of sound ecological principles, incorporating appropriate conservation ethics and an attitude of stewardship. In particular, there must be a focus on the preservation of habitat for native fauna. A wildlife rehabilitator should conduct all business and activities in a professional manner, with honesty, integrity, compassion, and commitment, realising that an individual’s conduct reflects on the entire field of wildlife rehabilitation. Based on the US National Wildlife Rehabilitation Association & International Wildlife Rehabilitation Council Code of Ethics.